The New York Trolley Company offers the most unique transportation option in NYC. 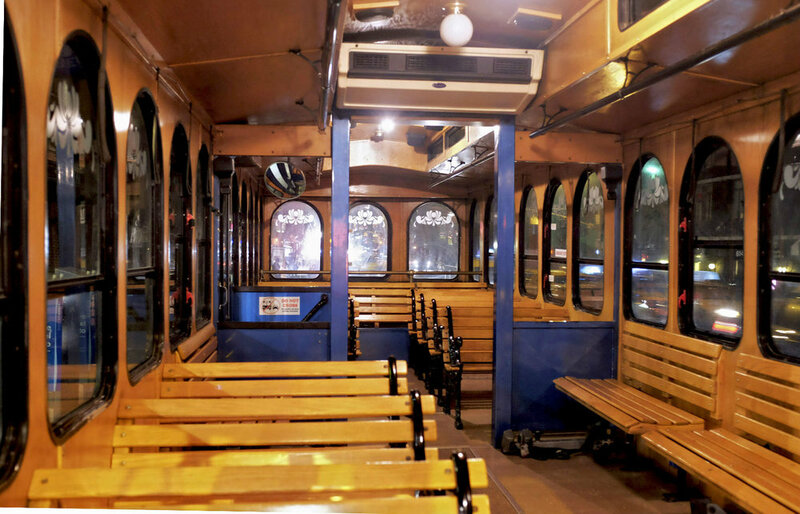 We provide charter trolley rentals for any occasion - weddings, birthdays, pub crawls, bachelorette parties, party bus, event transportation, corporate charters, and much more. We travel to all 5 boroughs of New York City - Manhattan, Brooklyn, Queens, the Bronx, and Staten Island - as well as Westchester, Long Island, Connecticut, and New Jersey. The clean, comfortable and intimate interior set-up of our trolleys provides for a sociable environment, conducive to conversation. 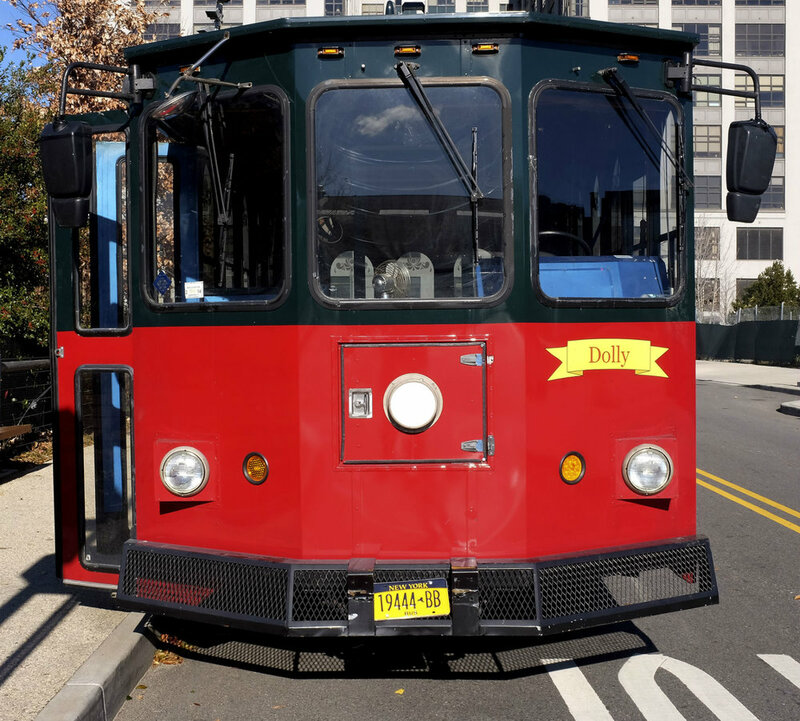 In general, New Yorkers are accustomed to the constant drone of buses, taxis and limousines, so when they see our trolleys, a sense of surprise and nostalgia overwhelms them as they remember old movies and pictures from when trolley cars once roamed the streets. This is our mission – to create a special and unforgettable experience for our customers. 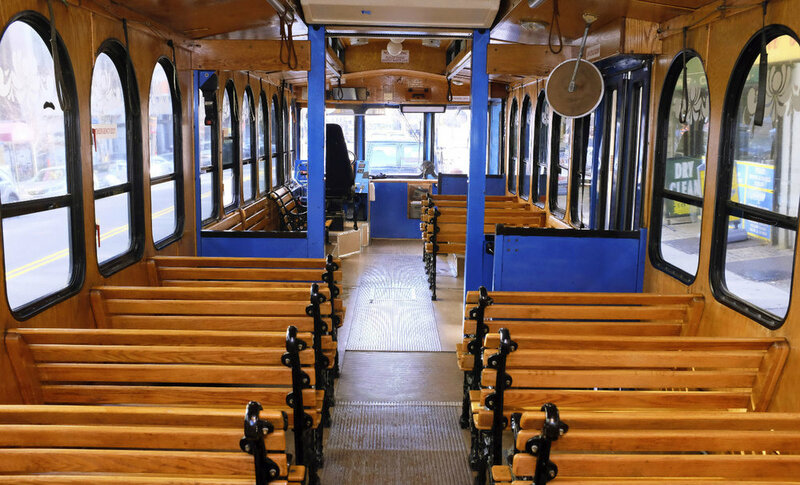 Rent a trolley in New York City today and enjoy riding around the city in style.